Negligence is the lack of reasonable care. It is the failure of a person to do something that a reasonable person would do, or doing something that a reasonable person would not do, under the same circumstances. Common examples would include a driver running a stop sign, a store owner failing to treat or remove ice or snow, or a surgeon leaving a sponge in an abdomen following surgery. This determination is based on individual state law, and therefore differs from state to state. In Kansas, you are able to recover as long as your negligence does not equal, or exceed, the fault of the wrongdoer. For example, assume your case is worth $100,000, and the wrongdoer was 90% at fault, and you were 10% fault. You would recover $90,000. If the wrongdoer was 70% at fault, and you were 30% at fault, you would recover $70,000. However, if the wrongdoer was 50% at fault, and you are 50% at fault, you do not recover $50,000, rather you would recover nothing. If your fault exceeds 50% you cannot recover. In Kansas there is no cap that applies specifically to medical malpractice lawsuit damages. However, noneconomic damages are capped in all injury claims. Noneconomic damages include such things as pain, suffering, and mental anguish. There is no formula by which to calculate these types of damages. The cap for claims accruing before July 1, 2014 is $250,000, for claims accruing on or after July 1, 2014, and before July 1, 2018 is $300,000, for claims accruing on or after July 1, 2018, and before July 1, 2022 is $325,000, and for claims accruing on or after July 1, 2022 is $350,000. This is in contrast to economic damages, which include such things as medical bills, lost wages, and mileage reimbursement. Economic damages are not capped. This depends on who caused your injury. If you are injured at work due to the fault of a co-employee, employer, yourself, or due to the fault of no one, you are limited to a workers compensation claim, and cannot pursue a civil personal injury claim. However, if you are injured due to the fault of an independent third-party, you are able to pursue both a workers compensation claim against your employer, and a civil personal injury claim against the third-party. For example, if a coworker backs over you with a forklift, only a workers compensation claim could be pursued. If an employee of a different company, delivering product to your place of employment, did the same thing, you could pursue a workers compensation claim, and pursue the civil third-party claim against the wrongdoer. If you settle with the insurance company, without the assistance of competent counsel, you will not receive the full value of your case. In fact, even with the assistance of counsel you will not receive the full value of your case, unless your attorney is known to be someone who will file a lawsuit and proceed to trial. Insurance companies won’t settle fairly with someone who is unrepresented, because they know that individual cannot go into court on their own, and obtain a verdict in a jury trial. An insurance company will also not pay a fair and adequate amount with an attorney who is known to only settle cases, and not pursue litigation. Ultimately, it is only the recognition that the claim is being pursued by an aggressive attorney with the reputation of going to trial if necessary, that drives an insurance company to offer a fair and reasonable amount. 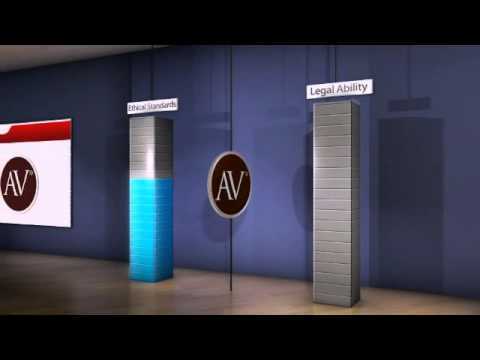 Your decision in choosing an attorney matters.